If you haven't seen The Vanishing, don't read this. Seriously I'm not going into spoiler territory but if you can go into this one no real foreknowledge do yourself a favor and watch this as soon as you can. Don't watch a trailer, don't read the plot description on IMDB watch this clean and stop by afterwards to say thank you. 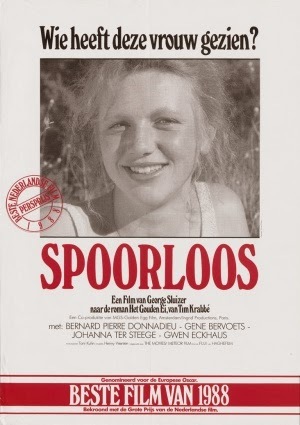 The Vanishing tells the story of a young Dutch couple who are vacationing in France but as the title of the film indicates, their holiday does not according to plan. The couple stops at a gas station to refuel and rest before hitting the road again but Raymond Lemorne has different plans for the couple. The young woman enters the convenience store but never returns. The husbands begins a three year quest to find his wife. He takes out adds, appears on television multiple times and retraces his steps hundreds if not thousands of times. The film is about obsession, about how far one man will push himself to uncover the truth. The structure of the film is unusual and non-linear but built in such a deliberate manor that each turn leaves the viewer wanting more. Almost immediately we are given more information than our protagonist but at no time do we look down on him during his journey. In fact our knowledge makes him an even more sympathetic character. Once the film reaches its climax we are going along with our protagonist because we understand he has no other choice, he is merely given the appearance of one. In the same way Silence of the Lambs was a horror film so is The Vanishing. Some people feel more comfortable calling films like these thrillers because they would be embarrassed to express deep fondness for a horror film but this is absolutely a horror film. The main purpose of a horror film is to cause a deep sense of dread and unease. The best horror films force us to grapple with our deepest fears and the experience can be cathartic. By the end of The Vanishing I in no way felt a sense of catharsis but I was fully aware of how unique and brilliant a film it was. This is a truly frighting tale. It is incredibly easy to loose yourself in the film and feel great empathy for our lead. I've seen it around ten times and each time I find myself completely wrapped up in the story again. I know exactly where its headed and how the film will eventually play out but there is always a part of me that hopes that maybe things will work out differently this time. I guess I should mention the 1993 American remake of the film... don't watch it. Its not terrible but it in no way holds up to this.